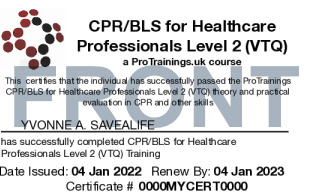 At CPR/BLS for Healthcare Professionals L2 (VTQ), we understand that even though you may not be required to carry a card, it can be a nice reminder of when you need to once again complete the training. 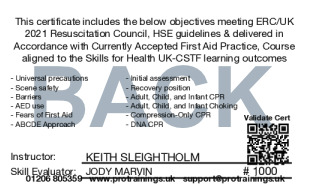 That is why we offer a CPR/BLS for Healthcare Professionals L2 (VTQ) card that can be printed at any time while your card is current. Your card is valid for 1 year from the date issued.